Northern Ontario features some of the greatest golf in Canada. And most golf tourists don’t include any of the courses in their golf packages because it isn’t within a couple hours of Toronto. However, the excursion north is well worth the time to test out top golf courses, great accommodation and long stretches of unspoiled scenery. Ontario, Canada’s “Near North” is closer than you might expect. From Toronto, head north on Highway 400. Stop, if you must, at highly ranked National Pines, taking the Innisfil exit just south of Barrie, about 45 minutes from downtown Toronto. But don’t dally for long. The best is yet to come on your golf vacation to Ontario. The 400 extension leading to Parry Sound and Sudbury will carry you in four-lane comfort until it turns into Highway 69, snaking through the myriad lakes, dense forests and stone cliffs of the Canadian Shield. Just past Mactier, you will again be enticed to turn east on Hamer Bay Road to Club Link’s Rocky Crest Resort. 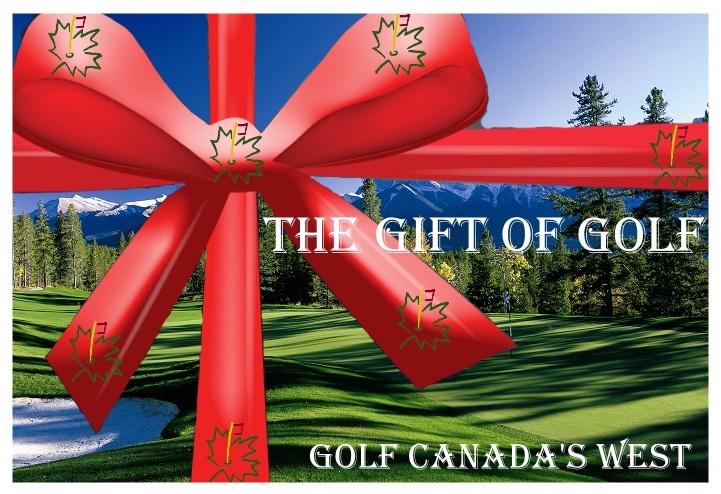 Both the golf course and the accommodations are terrific, but the $150 guest fee is far too high for our purposes – which would cover a weekend of golf, accommodations and meals in places we’re going in northern Ontario, with enough left over to cover the gas. Continue on a few more kilometers to Parry Sound Golf and Country Club, which is called the consummate northern Ontario golf course, with the pre-Cambrian shield sticking out everywhere, and lined with pine trees. Most visitors don’t realize that this well-conditioned, challenging 6,000-yarder two hours north of Toronto was designed by Thomas McBroom. With a Slope of 132, it’s no pushover, despite its lack of length. Give the driver most of the day off, since missing fairways is severely punished at this course. After a night spent at one of any number of hotels, motels or resorts in and around this scenic and growing Canadian town, cruise for 90 minutes to Sudbury and play Timberwolf. This McBroom-designed masterpiece was named best new course in Canada in 2000 by Golf Digest magazine and is the crown jewel of northern Ontario golf. More than 7,100 yards long, northern Ontario’s Timberwolf is bent grass from tee to green, swooping around an expansive property that tested Canadian Tour players in past years. “The sprawling layout is notably for its tough par-4s, as well as the ninth and 18th holes, both par-5s with environmentally protected wetlands traversing the fairways,” Jon Simpson, Ontario golf expert. “McBroom, and understudy Chris Nelson, did a great job of bunkering this course, particularly around the enormous greens. The putting surfaces average 7,000 square feet, ranging from 5,500 on the par-5 opening hole to 9,000 on the par-3 15th. After one, or perhaps two, days in Sudbury, go east on Highway 17 to North Bay and try to arrange a round through at the historic and private North Bay Golf and Country Club, designed by Stanley Thompson, but all is not lost if you can’t. Links hosted the Canadian Tour’s 2000 Ontario Open when it was just a year old, and the ensuing years have enhanced its maturity. The Rene Muylaert design is a par-71, 6,442-yard tough test on your golf vacation to northern Ontario. Sloped at 130 from the tips, the course has a split personality: links style on the front, heavily wooded and rugged on the back. Heading back south on Highway 11 through Huntsville, Bracebridge, Gravenhurst and Orillia, you’re more than welcome to stop at any number of moderately priced, enjoyable courses. T the beginning of the 2004 golf season, four-lane highways was extended to both North Bay and Parry Sound, reducing the number of excuses made not to travel to Northern Ontario. Northern Ontario offers many great courses to book on a golf package to this part of Canada, although the conditioning and amenities may not be first rate. Be advised, though, that the hospitality and value more than compensate. Eighteen-hole courses are increasingly rare as you head north, but two laps around a good nine-hole course can be just as satisfying in many cases. Lively Golf and Country Club – Once referred to as the golfing jewel of the North, Lively is typical of older courses in this area. Narrow, tree-lined fairways, crisscrossed by a meandering creek require more finesse than power. It runs $33 for 18 holes. New Liskeard Golf Club – The only 18-hole course between Timmins and North Bay, New Liskeard GC is built on rolling terrain, but an easy walk. Deer, and even moose, are frequently seen on the 185-yard 13th hole. It runs $35 for 18 holes. Kirkland Lake Golf Club – Many think this is best nine-holer in Northern Ontario. Fairways and greens are maintained with a modern irrigation system, and a creek wanders across just about every hole. It runs $30 for 18 holes. Haileybury Golf Club – This Scottish links-style nine-holer is the oldest in Northern Ontario, dating back to 1921. Its short yardage is offset by small, sloping greens and uneven fairway lies. Huron Pines Golf and Country Club – Noted architect Graham Cooke has worked his magic on this former nine-hole layout in Blind River, transforming it into an excellent18-holer. It runs $40 for 18 holes. Stay-and-play packages start at $119. Timmins offers Spruce Needles ($36 for 18 holes) and the expanded 27-hole Hollinger course ($39 for 18 holes).